This question is directed to Big G. How is Oak Ridge looking for this season? How do they stack up in their District and then Region? Thanks, I ask you because I know you know what is what. It's always hard in a transition year (from one coach to a new coach). However, I don't think they could have hired anyone better than Gorman. I know (and coached) several of those boys, who are now seniors. They have the potential to do really well. I think it just depends on whether or not they buy into what Gorman is "selling". 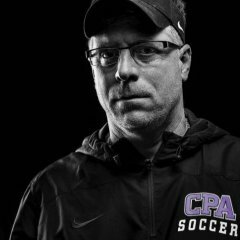 The man proved he can do it with what he did with Alcoa in 2009 in developing a great program (which now has their first A state title). Competing in his district is probably a one or two game "must win". His region is a bit harder, but with Bearden being out of it, it does open it up a bit. I'm really not sure what Farragut, Maryville, or HV have, so the will be interesting to see. I liked how they bounced back against South Doyle. They were down 0-1 and then won 3-1. Show character and grit. Great goal by Nigh, as well. Time will tell. It will also help when their field dries out so that they can train on it! Thank you so much sir. You gave a wonderful response and I appreciate it. No. If I remember correctly, they are in a different district now. Knox West and Bearden have been sent up I-40/81 to a new district. Basically, now Farragut, HVA, and Maryville will generally be 3 teams battling for 2 district spots to get to Regions. Bearden and West will generally be the favorites in their new district, but now have a killer Region, as their district winners will have to face off against either (generally ) DB or Science Hill to even get out of Regions. I don't know what Oak Ridge has this year, but they had quite a few seniors last year. I believe that regardless, Farragut and Maryville are the class of that Region this year, as both have very good teams this season. I will be surprised if they are not the 2 teams out of that Region, and possibly also the two teams to get to substate from this area. Central is down from last year, so I'd be surprised if OR isn't still the best in their district, but again, I don't think (generally) anyone from that district is nearly as good as Farragut and Maryville can be. Hardin Valley has talent, but I don't think generally to the level of other two this year. In the revised district, West has a few very talented players and is planning to make a run as this will be their best season in years, but not sure of their depth. Bearden basically a completely new starting roster after the last couple of great classes left, but have done better than expected in preseason. Central, AC, Clinton and Gibbs are all gone from District 3-AAA. Just a 5 team district now with: Campbell Co., Halls, Karns, Oak Ridge and Powell. Just my two cents but after watching HVA play and playing them in the preseason I think they are miles improved from last years 5 or so win team. Should be a good race in that district. Central is now AA and in a district with Catholic and does have a lot of players to replace from last season. Maryville and Farragut have lots of talent this year and if they can put it together they could both be very dangerous. However Bearden has done well in the preseason. It was impressive to see that they tied Mccallie who is a top program in the nation and was able to knock off a good Dobyns-Bennett side. It will be interesting to see who comes out of this sub state grouping. I think it’s safe to say Bearden isn’t very good this year. Rebuilding year I’d say. Definitely a rebuilding year for Bearden but have a couple of players that could take them far. With a new district this year, the main challenges will likely come in the region with Science Hill and DB being solid teams this year. Oak Ridge v West game tonight will be interesting to see in order to compare some of the teams around the area. West is senior heavy but haven't had very many impressive results yet. If this is the year Bearden "isn't very good" ... yikes. And well done by DB ... still undefeated heading into State. Very impressive. Touché. I definitely jumped the gun with this. However, in my defense, they lost to Greeneville 0-3 and Science Hill 0-1 either right before or right after Farragut beat SH 5-0 or 5-1 or something like that. I wish I could see DB play. Apparently they’re really good.